Days before the start of the 2012 season, the National addressed the stance of players on the grueling length of the season and thoughts on shortening it. Federer defends and sticks with the length of the season, which has remained consistent for decades. In the past six months, Novak Djokovic has questioned the current calendar. Rafael Nadal deemed it “crazy” and “not possible”, and predicted that “because of it, we will all have to retire when we are young”. Andy Roddick suggested that players might need to form a union to stand up to exploitative tennis officials and tournament organisers. Andy Murray declared the schedule “messed up, and we need to change it”. 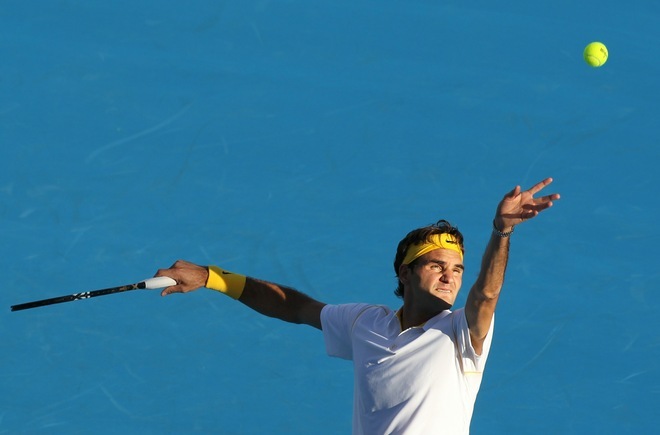 Ironically, the 2012 season for Roger Federer begins in 2011, at the Mubadala World Tennis Championship in Abu Dhabi. See the full schedule for 2012 with RF Activity. FF07tv will broadcast live coverage in Abu Dhabi and onward in 2012.